In other provinces, elections decide who will form the next government. In Alberta, they perpetuate a virtual one-party state. 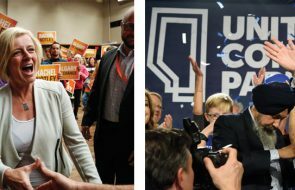 The televised scenes on election night, November 22, etched a sense of the bizarre onto Alberta’s latest reconsideration of democracy. At the Alliance party headquarters, Mark Montini said, “Outside of Edmonton, we’re clearly the alternative to the Tories.” He was stretching both the ballot facts and the meaning of “we.” Montini was a paid Republican party consultant from Atlanta, Georgia. Is it possible to imagine a similar scene in any other province? Though a functional opposition was returned to the legislature, it is unlikely that Alberta voters have embraced the notion of ongoing political debate. Most, in fact, did not take part in the election. Voter turnout dropped to 44.7 per cent—a historic low. With fewer than half the registered electors in the province casting a ballot, the new government is the choice of about 22 per cent of the voting-age population. Those numbers should shock people into doing something. Instead the results are accepted as just another display of the peculiar character of Alberta politics. The Conservatives’ overwhelming advantages—more money, a longer roster of credible candidates and a 2001 election landslide that made a loss in 2004 unthinkable—gave them an aura of invincibility. Calgary Herald columnist Tom Olsen began the campaign by assuring readers that the New Democrats and Alliance barely counted. The Liberals, he added, were making too much of unrest in Edmonton, where voters “aren’t nearly as fed up with the governance of Klein as the Grits and NDP say they are.” The Calgary Sun said no opposition party offered a viable alternative. 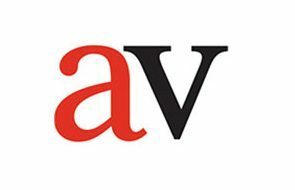 The Edmonton Journal and Calgary Herald were unexpectedly tough on the Conservatives in editorials, but stopped short of endorsing an alternative. Their coverage did not give anyone reason to expect more than token opposition success. Inevitability was in the air. Believing in it depended, however, on ignoring the counter-evidence. The day after the election call on October 25, former Conservative cabinet minister David King sat in an Edmonton café, saying he had joined the Liberals that spring. He thought voting for the Conservatives would be like “voting for Conrad Black.” King believes in locally rooted democracy. The government had been devaluing and disempowering school boards and municipalities for years, he said. “I think we’re (Albertans) going to pay a heavy price for that.” He was also not impressed by the Conservative party. He thought it had become a partially hollowed shell pocked with “moribund” constituency organizations run from the central office. (There had, in fact, been some questionable and highly public nomination shenanigans earlier in the year.) King thought one or two mistakes could have a large effect on the campaign. Hours later, Klein related what he thought was a funny story of two recipients of the Alberta Assured Income for the Severely Handicapped program “yipping” at him to raise payments. Undeserving recipients would be cut off, the premier said. Protests flowed instantly. Klein’s comments were widely taken as an attack on the handicapped. A more plausible reading was that he was upset at being confronted—by anyone, and certainly by two women who should have been grateful they were receiving a little over $800 a month in public money. He preferred quiet. In his hometown and his party’s political base, Calgary, he seemed to be getting it. On November 3, three-term Conservative MLA Richard Magnus pulled steadily on cigarettes in his headquarters on 16th Avenue North and said he was running hard as always, despite the fact the Liberals and New Democrats had thrown only a couple of last-minute recruits against him. Affable, open, still energetic despite his years at the game, he explained his original motivation: “I don’t know politics. I just ran because I was mad. A guy wouldn’t return my phone call.” He was determined never to become that guy. Klein’s AISH remarks had worried him: “I sucked in my breath.” But he had heard about it only a couple of times at the doors. The bigger problem seemed to be apathy. It was the third major election in five months and, anyway, people were sure he would win. The early going told him to expect only a 30 per cent voter turnout in his constituency. A decisive victory but with indications of a change to Alberta’s one-party dominance. Swann’s decision stemmed from his notorious dismissal two years earlier by the Medicine Hat district’s Palliser regional health authority. He had been the chief medical officer. The board fired him after he spoke in favour of the Kyoto accord on reducing greenhouse gases. In late 2002, the accord had prompted one of the sporadic waves of political hysteria around the province. It was interpreted as a weapon to crush the energy industry, the latest evolution of what some were sure was the federal government’s plan somehow, someday, to impose a new national energy program on Alberta. And so this intense physician with a lean, rangy runner’s physique and close-cut, pepper-and-salt beard found himself knocking on doors, often encountering the same phenomenon as Magnus—apparent apathy. “Some people don’t want to talk to me when they hear I’m a Liberal . . . . That, or it’s a total lack of faith in the political process. Young and old, they’ve lost faith in the political process.” He found, however, that when he said refusing to vote was a vote for the Conservatives, some people would start talking to him again. Swann won by a stunning margin. Many observers had given him only an outside chance. He had spent much of the 1980s prominent in local community organizations. Still, no one had expected he could beat three-term Conservative MLA Mark Hlady, a personable backbencher, by 7,162 votes to 4,088. The overall outcome was equally a surprise—62 seats for the Progressive Conservatives (based on 47 per cent of the popular vote); 16 for the Liberals (29 per cent of the popular vote); four for the New Democrats in Edmonton (10 per cent of the vote); and one for the new provincial Alliance party in the Cardston area (9 per cent). The Conservative slide was steeper than anyone had predicted. Conservatives saw nothing healthy at all in winning 47 per cent of the popular vote and about three-quarters of the available seats. More was going on here than voter dropout or silent protest. Had the premier stayed on one election too long? Some PC candidates like Brent Rathgeber in Edmonton publicly said Klein’s image did not help them; people had called him arrogant and bored. Klein didn’t let the search for someone to blame set in long enough to include him. The day after the election, he announced that his former right-hand man Rod Love would replace the manically glowering figure of Steve West as his chief of staff. Marilyn Haley, the PC party executive director, was replaced by losing Edmonton candidate Drew Hutton. A party “renewal” process was launched. These were the fallouts of a success that was being interpreted as a disaster. The campaign had seemed desultory and hesitant—media were distracted by the death of Klein’s mother and the U.S. presidential election. It did not really start until the television debate on November 8, when Kevin Taft was particularly effective against a posturing, issue-avoiding Klein. The Calgary newspapers didn’t talk much to voters. They missed the Liberal surge that won a surprising three seats in the city and came close to three more—despite a final-week Ipsos Reid poll that indicated growing opposition strength. The Edmonton papers confined themselves to printing what the candidates were saying, rather than getting a picture of what voters were thinking and exploring issues the government was trying to ignore. The overall impression was that not much was at stake and that another Conservative landslide was taking shape. However, some surprising new currents were gathering force. There were real issues and some voters were taking them seriously. Some Conservative candidates were trying to run almost as in-house opposition members. In northeast Edmonton, one-term Conservative MLA Tony Vandermeer was among the party candidates claiming he wanted to end Medicare premiums, a position the government had rejected a number of times. In Sherwood Park, cabinet minister Iris Evans told hundreds of people at a forum that she supported an increase in AISH payments, which the Liberals were saying should rise to $1,000 a month from $850. 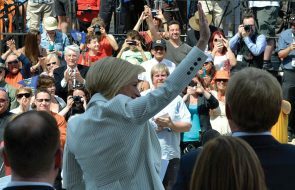 Then she outbid the Liberals by saying that some recipients should qualify for more than $1,000 a month because of their personal circumstances; the audience applauded loudly. Contrary to the media image of an election about nothing, people repeatedly asked about policy. Their questions often reflected the changing face of the province. The government’s decision a year earlier to raise rents by 40 per cent at seniors’ long-term care homes came up often, usually with complaints that staff had been cut at the same time. Concern about scarce water supplies, the BSE crisis and the environmental implications of coalbed methane development cropped up in rural areas. A forum on immigration in central Edmonton saw some of the estimated 5,000 African-born people living in the city complain about refusal to accept the professional credentials of immigrants; even credentials earned in Canada often failed to earn jobs. The Conservatives found they could no longer run in Edmonton by promising to give the city a direct voice in decision making. Edmonton had gone PC in 2001, only to be disappointed over matters such as school construction, auto insurance rates and transportation funding. Calgary did not need a bigger voice. But outside the cities, the appeal of electing a voice in government remained strong. At the Sherwood Park forum, Evans referred to local annexation fears and pledged “a strong voice to keep Sherwood Park and Strathcona County where they belong, outside of Edmonton.” The audience of about 400 responded with shouts of approval and the loudest applause of the evening. Voters heard credible views on policy from a number of interesting and new candidates who ran for small parties. For example, in Leduc, PC George Rogers faced an unexpected breadth of opposition. Alliance candidate Dave Dalke, a former conservation officer raised on a Saskatchewan farm, had been disillusioned by Grant Devine’s governments in Saskatchewan. He pronounced himself “infuriated” and “stupefied” by what he saw as similar leanings in Ralph Klein’s Alberta government. School principal Stephen Lindop made a credible representative for the Greens. Social Credit candidate Karen Richert, a younger voice for what was generally thought to be an antique party, told the crowd, “I am not here tonight to become a politician . . . I believe that politics has become something of a profession when it should be service for the people.” Her prairie populism sounded close to Dalke’s; she said later she chose Social Credit because she thought the Alliance was pushing for “American-style” health care. Dave Dalke, Jim Graves, Karen Richert, Lynn Lau and many others ran for the sake of ideas, not to become part of a political machine. They look like part of something new. Individuals may increasingly be finding their own paths. These candidates might be an indicator that the nature of political activity is changing. Mainstream political parties may find it increasingly difficult to maintain loyalties. The Conservative party was chosen by fewer than 22 per cent of eligible voters. Rural areas are still traditional conservative strong-holds. Conservative Ray Prins beat off the challenges in La- combe-Ponoka and won more votes than all the other candidates combined. His lopsided numbers were matched in many other rural areas. But in the cities, the PCs either lost seats or became newly vulnerable. They took only 32 per cent of the popular vote in Edmonton and 50 per cent in Calgary. The Liberals won a seat in Lethbridge and came reasonably close in Red Deer and Medicine Hat. The heaviest voting took place— not surprisingly—where there were tough fights. An average of 12,000 voters cast ballots in each of the 18 Edmonton constituencies; an average 10,490 voters cast ballots in each of the 23 Calgary constituencies, where the Liberals had to scrape up many last-minute candidates and the media were predicting little in the way of real contests. Alberta has often produced rural protests and right-wing populism. The Alliance party’s emergence was part of this. It’s easy to imagine the Alliance becoming the next phase of Preston Manning’s nearly 40-year dream of building a new political movement. It’s just as easy to see it getting stuck or fading. The remarkable appearance of a Green party that suddenly captured 5 per cent of the vote in Calgary was more interesting. Richard Magnus saw voter turnout in Calgary-North Hill top 44 per cent rather than the 30 per cent he had predicted, bulked up by more than 1,200 people voting for the Green candidate. If splintering of party support continues, it will add weight to calls for electoral reform. Some form of proportional representation would be the only voting system capable of giving smaller parties a voice in the legislature. Jim Dinning, the odds-on favourite to replace Ralph Klein, has been talking about this and other reforms as he tours the province in his tireless campaign for the Conservative leadership. The toughest questions await rural Albertans—dwindling in political influence but full of political needs. They have held on to a strong voice in government by voting as a bloc for the governing party. Do they forget the past and pick new options? Do they keep supporting the governing party and risk ending up on the wrong side someday? No wonder there were puzzled expressions on the faces at the Conservative headquarters on election night, despite a solid victory. They are used not just to victory but to absolute victory— one-sided results that keep the opposition weak and create the impression of a monolithic province, which is useful in clashes with the federal government. They think their future depends on perpetuating their image as an irresistible force. But pursuing that strategy has become much more complicated. They have to perpetuate the notion that entrusting a province to a single, dominant party is a normal state of affairs and a happy one. Mark Lisac is an Edmonton political journalist. He is the author of Alberta Politics Uncovered (2004) and The Klein Revolution (1995).